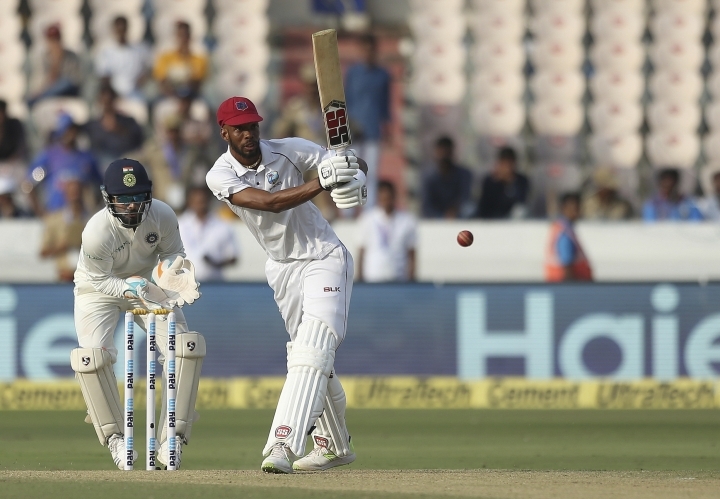 HYDERABAD, India — Roston Chase was 98 not out as he led the West Indies' recovery to 295-7 against India on day one of the second test on Friday. 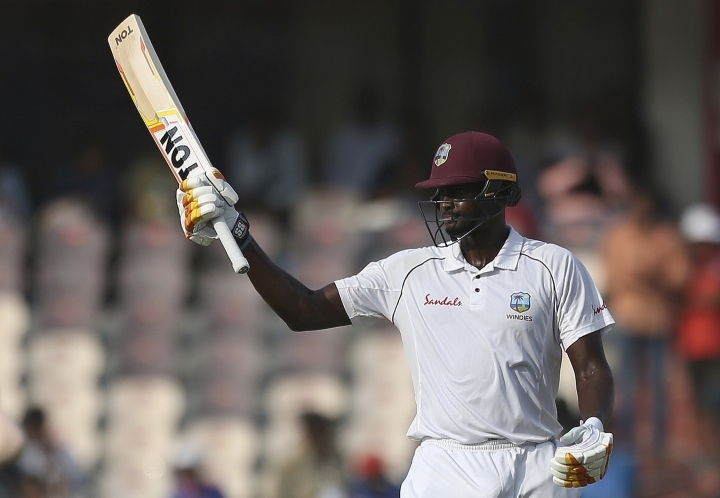 The West Indies was in peril again at 113-5 and 182-6, but Chase and captain Jason Holder rescued them with a 104-run stand. 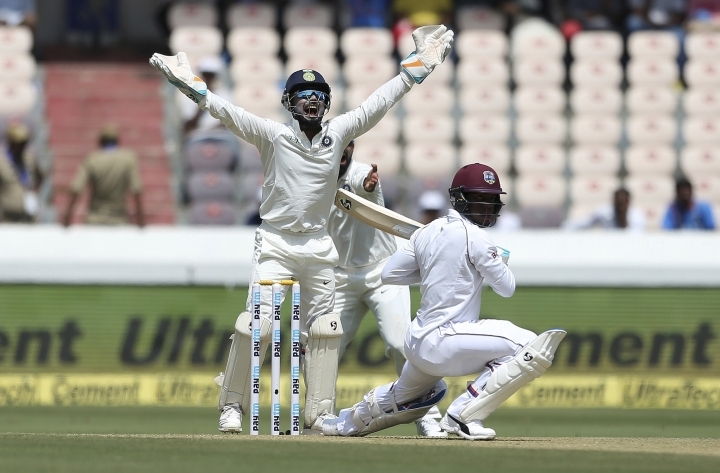 It was the best passage of batting by West Indies in this brief series, especially after the hapless twin innings in the three-day first test at Rajkot. Despite much of the top order gone, Chase didn't panic as he set about rebuilding with Holder, who matched him for strokes. 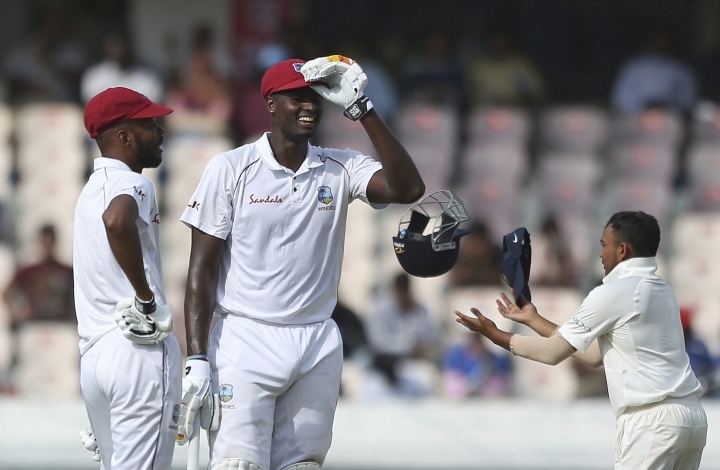 Their 50 partnership came in 96 balls as West Indies crossed 250 in the 80th over. 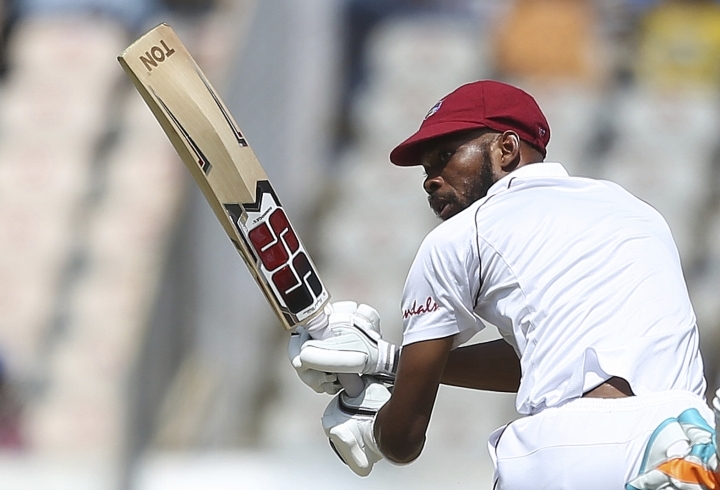 Holder reached his eighth test half-century off 85 balls with their 100 stand coming off 176 deliveries. 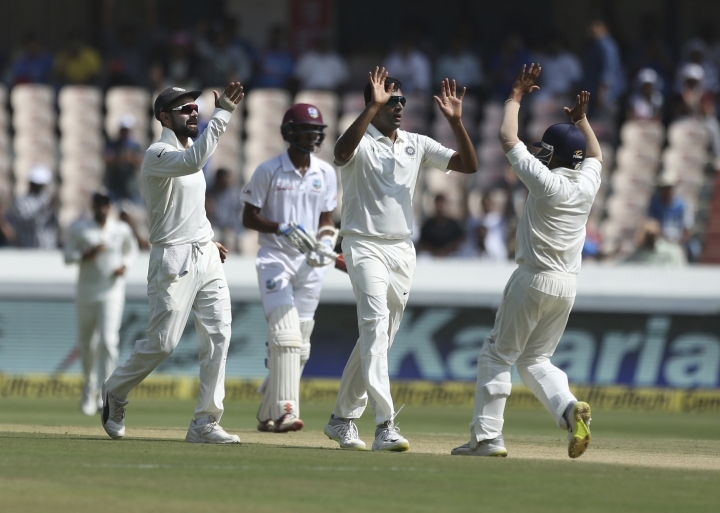 However, like before lunch and tea, West Indies failed to close out another session without further loss. 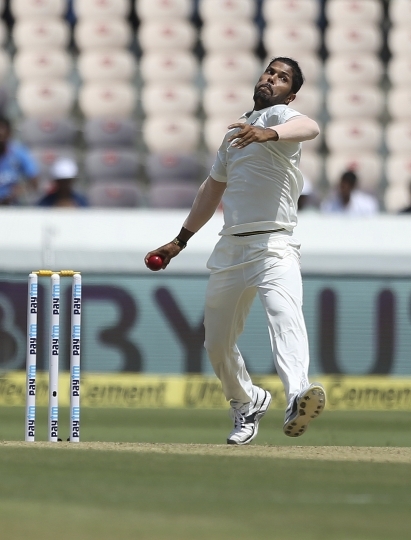 Five overs before stumps, Holder was caught behind playing at Umesh Yadav, and India was back in business. Holder made 52 off 92 deliveries and hit six fours. Chase finished the day two runs short of a fourth test hundred, having faced 174 deliveries, inclusive of seven fours and a six. 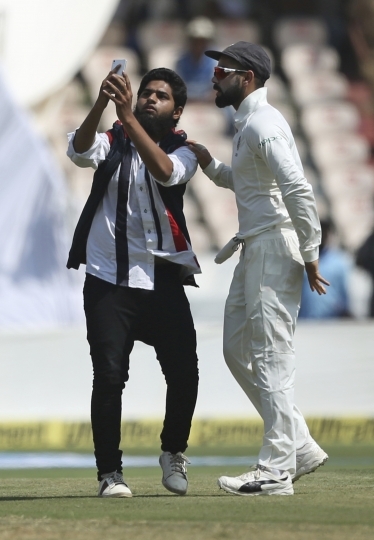 Devendra Bishoo was with him on 2 not out.